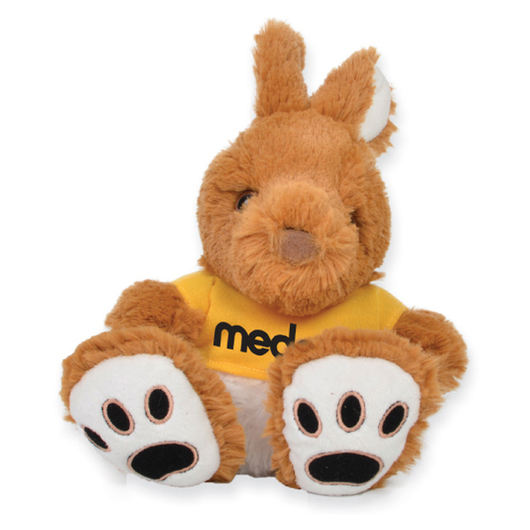 A 15cm tall ultra Plush Kangaroo with a coloured shirt with printed branding. Introducing the adorable "Lucas" the plush kangaroo. He measures in at 15cm tall and is a long haired ultra-plush toy. 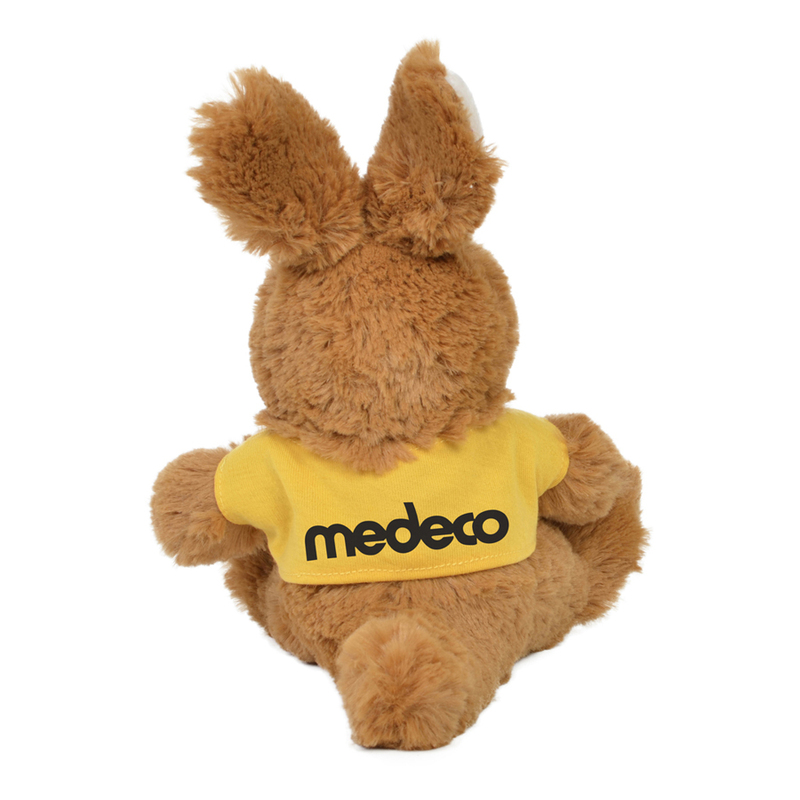 He's super soft and made from high quality material with plastic details and embroidered feet. Choose from one of eight different shirt colours to compliment your logo or marketing message the best!